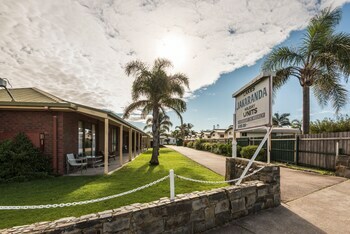 With a stay at Lakes Jakaranda in Lakes Entrance, you'll be within a 10-minute walk of Cunningham Foot Bridge and Lakes Entrance Bowls Club. Free self parking is available onsite. With a stay at Rankins Springs Motel in Rankins Springs, you'll be within a 5-minute walk of Rankins Springs Park and Rankins Springs District War Memorial Hall. Free self parking is available onsite. With a stay at Swagman Chalet in Perisher Valley, you'll be within a 15-minute walk of Perisher Ski Resort and Village 8 Express. Located in Scone, Isis Motel Scone is within a 5-minute drive of St Lukes Church and White Park. The front desk is staffed during limited hours. Free self parking is available onsite.